Bohemia has revealed some of the names from the upcoming KDM Mixtape presented by Kali Denali Music on 105.4 Radio Spice by Rj Blondelle. 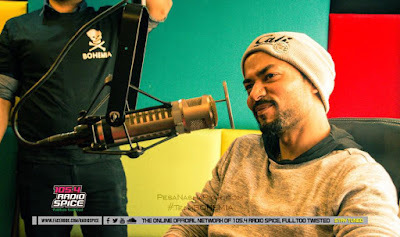 In this show Bohemia talked about the featuring artists in the mixtape about his life and how he started the DesiHipHop genre in 2002. Some of the artists he named in the interview were Raxstar, Deep Jandu, Sukhee Muzical Doctorz, Juggy D, J-Hind, Rishi Rich, Young Desi and many more. 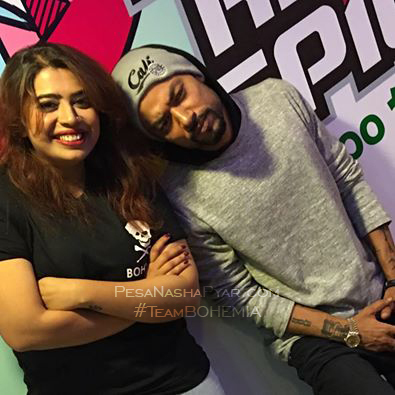 Bohemia told Rj Blondelle that this is the first time he is officially announcing the artists names from the upcoming KDM Mixtape. He also stated that he is going to start doing a solo album this year after the release of KDM Mixtape though he didn't mentioned any official dates for mixtape launch. As he mentioned in the interview that he is the executive producer and managing the whole mixtape all by himself and will be released on Kali Denali Music.